In May 2012 Audrey Kelly, a veterinary nurse, set out for 10 days in Malawi with a group of vets and vet nurses to help to set up and equip a veterinary clinic ( the Lilongwe Society for the Protection and Care of Animals) and train the staff. The clinic cares for pets, farm animals and wildlife and runs visiting clinics as well as the main one in Lilongwe. While in Malawi, Audrey visited Mtsiliza village and orphanage and saw the needs of the widows and orphans there. So when she returned to the UK she set about organising some fundraising and collection of goods to help supply some of those needs. 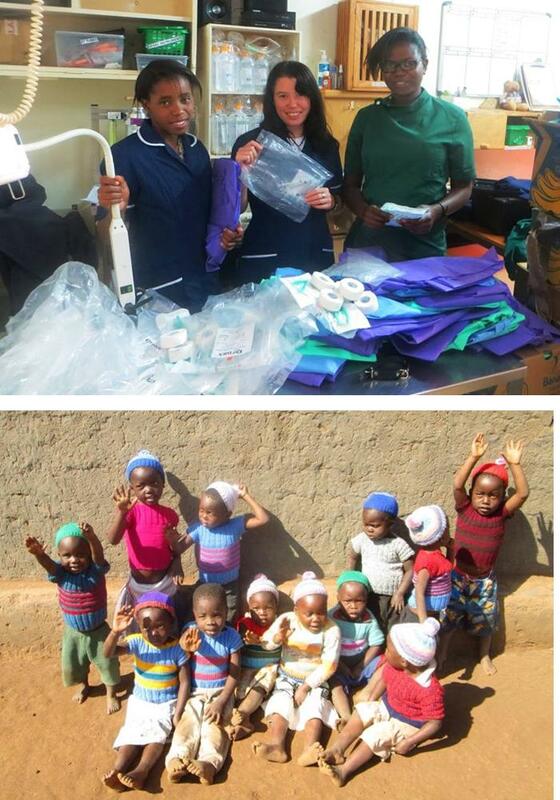 With the help of family and friends she collected 56 boxes of goods – veterinary equipment, clothing for the widows and children, knitting, school items, stationery, flip flops, books, toys and toiletries – and funds to send them. Richard Ssuna, principal vet at the clinic in Lilongwe, made the 500 mile round trip to collect the boxes from Ekwendeni and distribute them to the clinic and to Mtsiliza and passed on to Audrey the thanks of the clinic and of the Director of the orphanage.